Ladies, if it isn’t already, your calendar should be marked on Sunday, March 8th! Celebrating women all around the globe, not only is this date International Women’s Day, but it’s the second edition of Ladies First Fashion Event. With the intention to honor women in the creative business, D&J have put together an event you don’t want to miss. 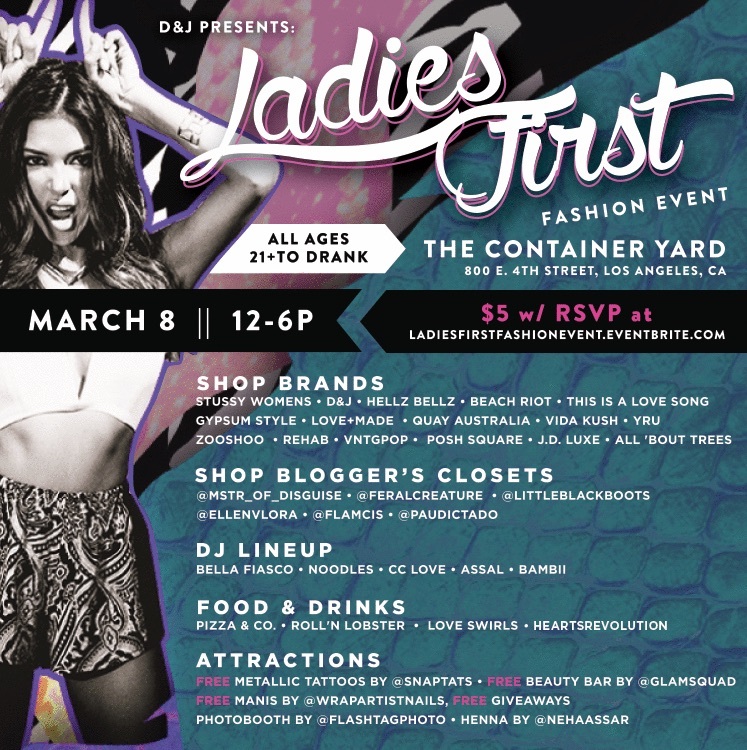 Bringing together tons of female centric fashion brands and a line-up of amazing DJs, it comes complete with food, booze, and freebies. Because the first edition was such a success, you already know we’re going to be there! And not just for the ladies, but the fellas are welcome to come too! More information and details are available on the flyer! And don’t forget to RSVP!